Happening in the future: Dan Primack is launching “Pro Rata” – the podcast 📷 – on Monday July 23rd. Subscribe HERE to get smarter, faster in just ten minutes on the collision of tech, business, and politics. Russian President Vladimir Putin has been a towering figure when it comes to selling oil, acting the strong man, and breaking into other nations' electoral systems and social media. But he has been relatively passive amid the roiling transformations with which Russia's rivals are wrestling — a future driven by robots, artificial intelligence, a mobility revolution, space travel, and other relentless tech forces. Why it matters: With comparatively few resources, Putin has resurrected Russia as a formidable global actor, disrupting Western politics, security and order with what appears to be a low-budget, opportunistic mission of chaos. Putin's commanding, almost-blasé performance standing next to President Trump in Helsinki on Monday telegraphed his confidence within the controlled world he has built around himself. But the robustness of that world, and Putin's ability to profit by playing international spoiler, seem likely to lessen should the future unfold as many technologists project. 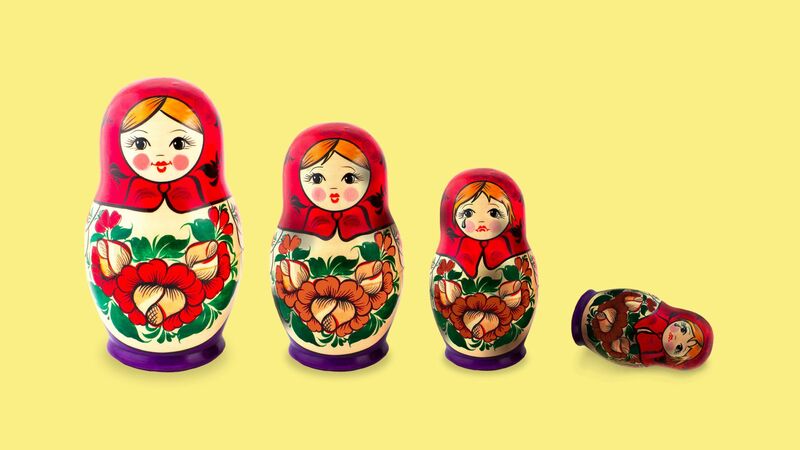 Already, Putin's policies have stultified the economy: Russian GDP will grow only 1.5% a year in the medium term, according to the IMF, and the standard of living in the country shrunk by 17% from 2014-2017. Russia's absence from the technological race leaves its people vulnerable to the countries that win (see post below). Most significantly, China has put the entire government behind a strategy to capture dominance of 10 key technological sectors in the next decade. Silicon Valley is also investing heavily in future tech. "Russia will be a consumer of these technologies, not a producer," says Chris Miller, a professor at Tufts University and author of Putinomics: Power and Money in Resurgent Russia. Putin "opposes any reforms that rock his kleptocratic system," says Anders Aslund, a Russia economic expert at the Atlantic Council. Now, China has become a surveillance state, similar technology is available in the West, and leading thinkers say the artificial intelligence behind it is reshaping geopolitics, igniting nationalism, and changing human behavior. In the current issue of Foreign Affairs, Nicholas Wright, a British neurologist who studies AI and politics, predicts that hopped-up surveillance will trigger a new challenge to the U.S.-led order, a system he calls "digital authoritarianism." In China, Wright foresees 24-hour, AI-backed surveillance, from the time a person awakes in the night and sends an off-the-cuff SMS, to every activity that can be tracked online or through street cameras, he tells Axios. The battle lines are already forming: Beijing is exporting its expertise and equipment. Among recipients, Wright says, are Ethiopia, Iran, Sri Lanka, Russia, Thailand and Vietnam, Zambia, and Zimbabwe. Ian Hogarth on "AI nationalism." Kaveh Waddell writes: Some argue that workers whose jobs become automated could learn new skills to stay employed. But the difficulty of jumping from physical work to a job that requires mainly social and cognitive skills may leave low-wage workers with no recourse when manual labor is turned over to robots. 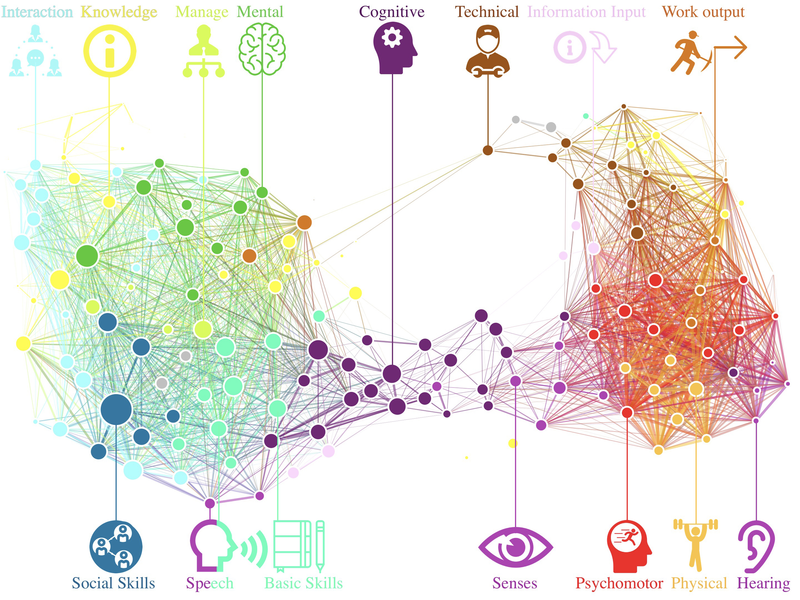 How they figured it out: A team of MIT researchers mapped out the relative difficulty of jumping from one profession to another by first assembling a comprehensive list of job skills. From that, they developed a spatial map that arranges them by how closely they’re related to one another (see below). The result, Skillscape, is two clumps of skills — complex problem-solving and interpersonal relationships on one side, and manual dexterity and stamina on the other — with few connections between them. The cognitive-heavy jobs earn higher wages; the manual jobs are lower-paying. Go deeper: When you're done playing with the results, read the MIT study in Science Advances. We’ve sequenced the human genome and created a tool that can edit it. The final frontier: Carlsberg’s Beer Fingerprinting Project, which uses machine learning to predict a beer’s taste profile — bitter, sweet, toasty, and so on. Kaveh writes: Brewing is chemistry, and computer-assisted analysis can help fine-tune recipes or processes that can make a lot of money for beer companies. It was only a matter of time before AI snuck into the brewery. The details: This project from the centuries-old Danish brewer will allow it to iterate more quickly to come up with new types of beer to sell. It's gimmicky, sure, but cutting down on costly, time-consuming brewing rounds can save a big brewery money. The big question: Even if the system can eventually predict a beer's flavor profile — for now, it can only differentiate between types of beer — can it guess what tastes good to actual people? "It may sound nice to have to taste a lot of beers every day, but we create hundreds of small microliter brews and beers, in such small volume that they’re not really testable." Be smart: There is no industry that won’t try shoehorning AI into its work — whether because it makes sense or because it’s the buzzword du jour. Förster told CNET: "We have had an unexpectedly positive marketing benefit from working with artificial intelligence." Steve’s thought bubble: Do we really need more types of beer?